Get good-looking results at your project. Does not matter what size your job is. Wall and ceiling repairs fixed fast. Helpful and dependable crew. Get your price quote. Professional yet affordable. You will be satisfied with the work. Interested in having someone install some brand new walls or ceiling at your place? Maybe there is a ceiling or wall that must be repaired and painted. This organization is centered on installing and restoring walls and ceilings. They work on many kinds of different job assignments. Some are in new construction; a great many others are maintenance and renovations. 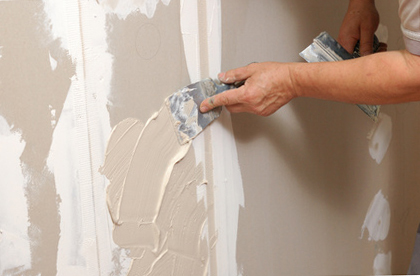 Repair jobs may involve patching holes or cutting out and exchanging bad areas of sheetrock. They work on projects in homes, industrial properties and multi-family buildings. 1. The order of drywall sheets is transported to the job space. 3. The project trash and unneeded material is removed, and the area is cleaned. 4. The joint seams and the anchoring screws are taped and covered up with joint compound. When the fifth step is completed, you can start painting. Many homeowners will have them complete the complete project, but once in a while, someone wants to have them take care of only some of the activities. For example, in case you are considering doing your own mudding and taping, they could just deliver it and install it, and you may do the rest. Sometimes they’re called out to jobs where the sheetrock is already up on the walls, so they just do the taping and sanding and finishing aspects of the work. Ordinary drywall is created for dry locations, it isn’t suitable for bath and shower areas, so they have a moisture-proof board they use in those areas. Plus, they carry a strong and durable cement backer board they use on those walls where you intend to place tile on. Accidents happen at homes every day. Holes can get put into your sheetrock during a fun Friday evening party or during a weekend football game. If your home has just a single hole, and that hole is in a place where most folks would never see it, you can try to fix it yourself by installing a patch. When a property owner puts on a patch, sometimes it ends up looking terrific, but frequently it doesn’t look the best. It’s harder than it looks. It could take some practice to get it to look acceptable. While you might want to attempt to conduct your own repairs in areas where most people will never get a chance to see, we advise having someone with experience take on hole or dent repairs in rooms which are more visible to other people. The final phase of the repair program is to model the finish and texture of the new work so it matches the present finishes when it is painted. Correcting a few trouble spots so an area or rooms can get painted. Taking off and replacing sheets of sheetrock spoiled by water. Doing the removal and replacement of a big area or room. Usually due to a water disaster or other serious event. They will solve a couple of small issues, they can do significant renovations, or any project in the middle of the two. What about the finish of your new walls? What type of surface would you like? Simply unfinished – only taped, suited for non-finished work places or garages. Smooth finish – no added texture, in position for painting or wallpaper. Basic texture – supplies some extra dimension. Greater texture – hand-troweled and is more difficult to get done. Was your home built with that sprayed on popcorn ceiling surface? Would you like to eliminate it? They will get rid of it and replace it. They are among the list of top local commercial drywall companies. They will do their best to supply the best quality work possible for an affordable cost. 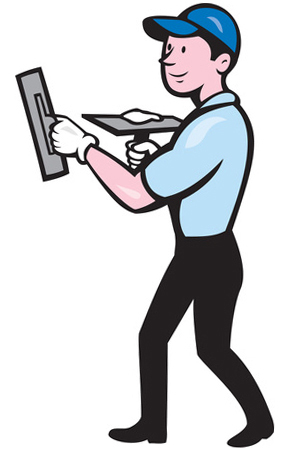 They have the right tools and gear to the job to get your job finished quickly and done properly. Plus they use only the top products for your project, so they will resist damage and be long lasting. A house improvement project may be difficult. They will do their very best to make the procedure smooth and easy. And they do their best to shield your belongings from harm and dust. Most projects generate a some garbage, but they bag up and haul off all the rubbish, plus any unused materials. They get called to do a large amount of work in individual residences, but they also work at retail and industrial buildings. And besides the selection of jobs they do, they can also work with anybody, from a single homeowner to a commercial property manager. They can give you a quick cost quote for whichever type of project you are needing. Your cost depends on some different variables, but it primarily comes down to materials and work hours needed. A great way to make a good estimate is in person, but that isn’t always possible. The second best way is by spending a minute with them on the phone. It you would like them to deal with the painting, they will make certain it gets done right. If you are planning on finding a painter, that will be alright with them too. Where Do They Work In Orange County? They do many projects northeast of Santa Ana in areas near El Modena High School, Santiago Oaks Park, Tustin Street, The Outlets, The Village, Orange Park Acres, Villa Park, Walnut Avenue and Taft Avenue. They work on projects northeast of Santa Ana in neighborhoods near El Modena, Santiago Oaks Park, Tustin Street, The Outlets, The Village, Orange Park Acres, Villa Park, Walnut Avenue and Taft Avenue.